We’re hopping with excitement to introduce you to the newest members of the Monarto Zoo family, bouncing Greater Bilby twins born to doting mum Abi. 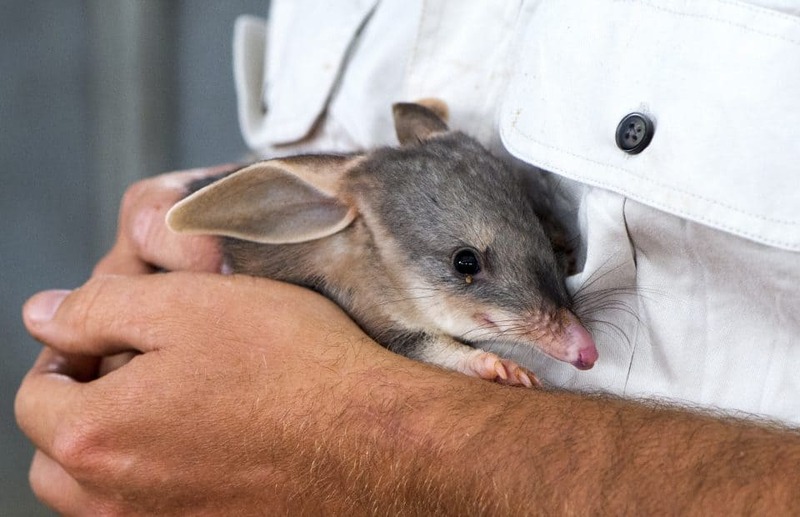 The adorable siblings are among ten bilbies to be born at Monarto and Adelaide Zoos over the past year as part of a national conservation management program. As a conservation charity, we’re doing our bit to secure the future of this vulnerable species. We’re proud to have bred more than 200 bilbies, with some reintroduced back into the wild through a recovery project at Roxby Downs. Our Natives Keeper Simon recently filmed a gorgeous video of the twins. You can watch the video here.